Co-Director and editor Erik Ewers has worked with documentary filmmaker Ken Burns for more than 28 years on almost all of his single and multi-episodic films, including Baseball, Jazz, Mark Twain, The War, Prohibition, The National Parks, The Roosevelts, The Vietnam War, and the forthcoming Country Music. 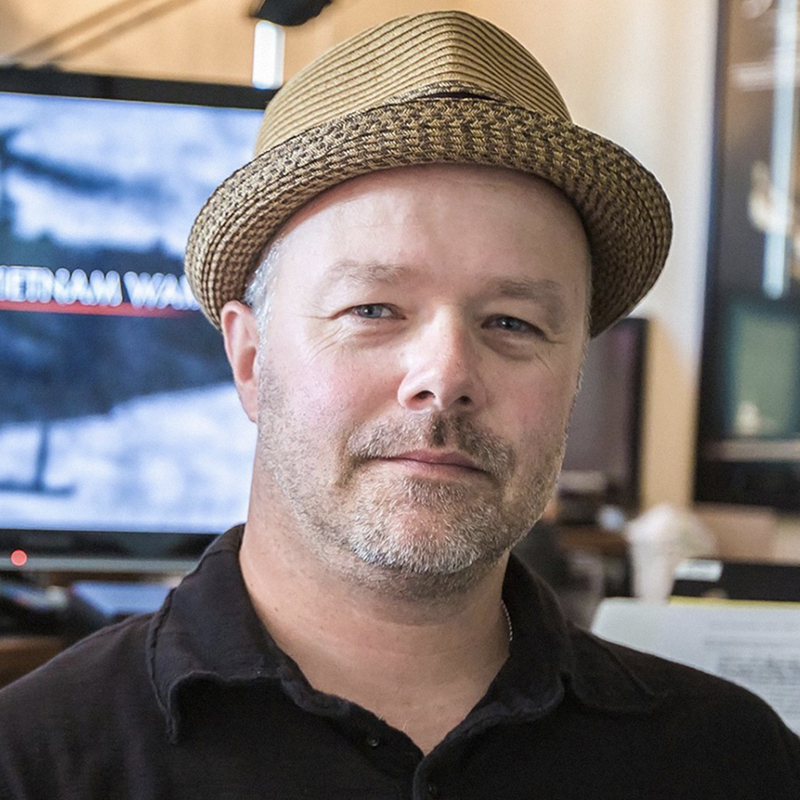 He currently serves as Ken’s senior editor on his upcoming Hemingway miniseries, and also serves as co-director of Ewers Brothers Productions — creating both outside programming and feature length documentaries. Collaborating with Ken, Erik and Ewers Brothers created a 2-hour film for PBS called The Mayo Clinic: Faith, Hope, Science, and are working on two additional films, Henry David Thoreau and Mental Health. Erik has been nominated for more than 9 personal and program Emmy Awards, and consequently has won 1 editing Emmy Award and 3 program Emmys. Additionally, he has also earned 2 prestigious ACE Eddie Award nominations and 1 ACE win for “Best Edited Documentary of 2015.” By working in many other professional film roles, Erik is extremely knowledgeable and capable in all aspects of film—having served as music producer, writer, director, film producer, picture editor, sound effects, music and dialogue editor.